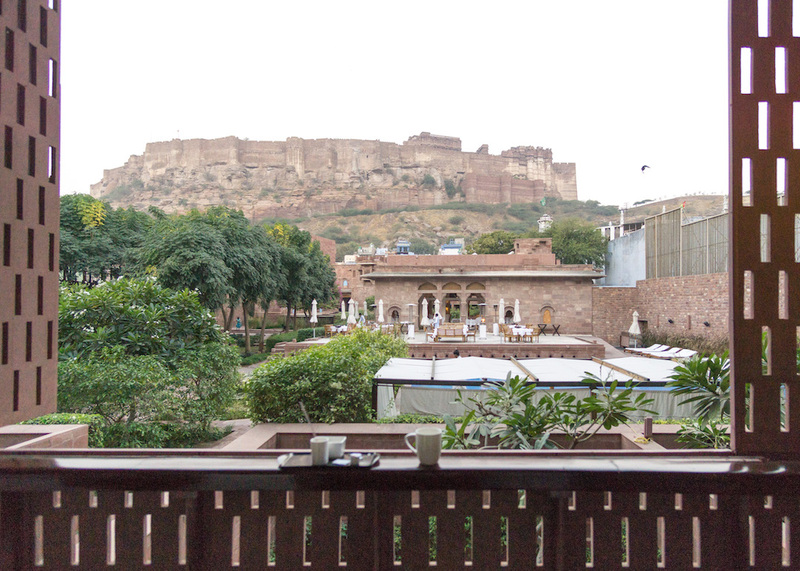 Imagine waking up, stretching, and drinking chai under the imposing, albeit gorgeous gaze of the Mehrangarh Fort. 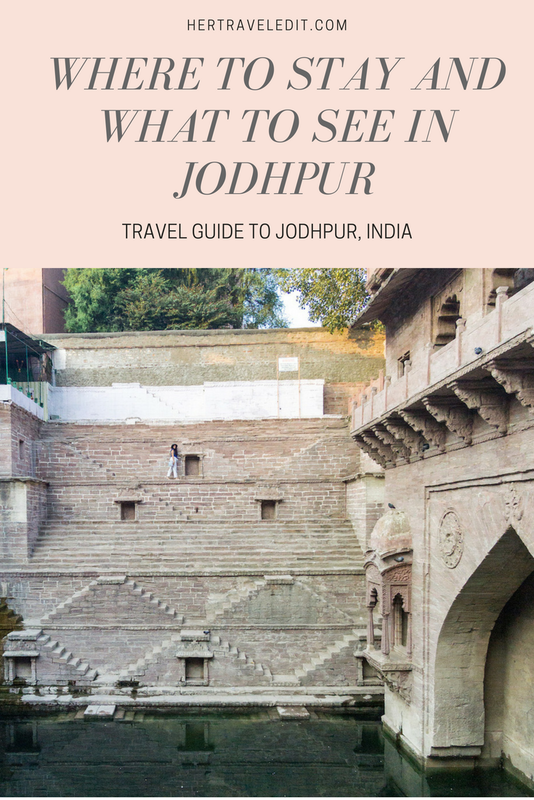 And then imagine walking a mere two minutes to a recently uncovered Stepwell from the 1740s, walking to Jodhpur’s famous clock tower, and getting lost in the magical blue streets. All before the rest of the city is up and can say breakfast. Finally, imagine coming back later in the evening, exhausted, but a good exhausted – the kind of exhausted you get when you see a lot of beautiful things at once. 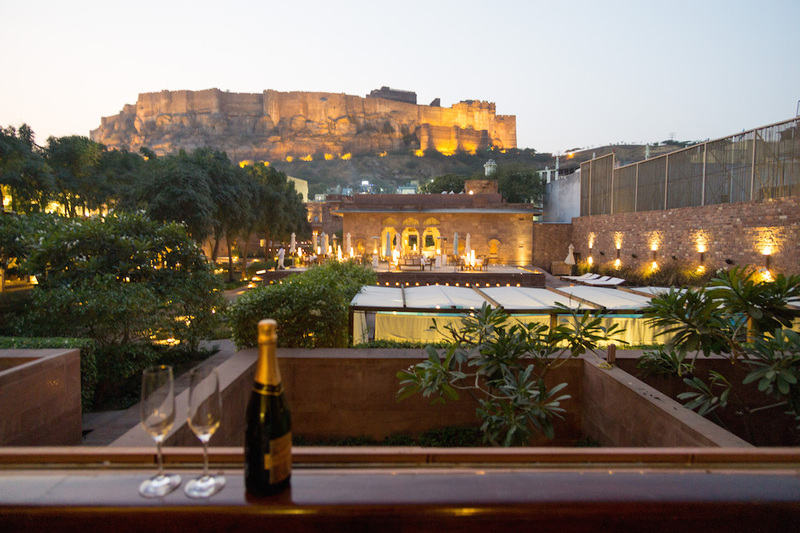 A sip of champagne with a cool breeze and the same view of Mehrangarh Fort, but different now, because it’s all lit up. 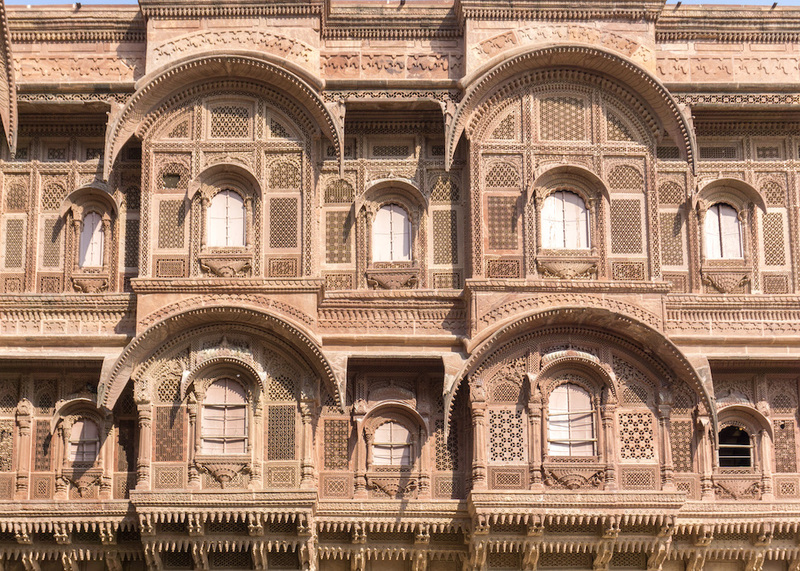 Your exhaustion washes away with a lovely bath, and you sit down to one of the best meals in Rajasthan. 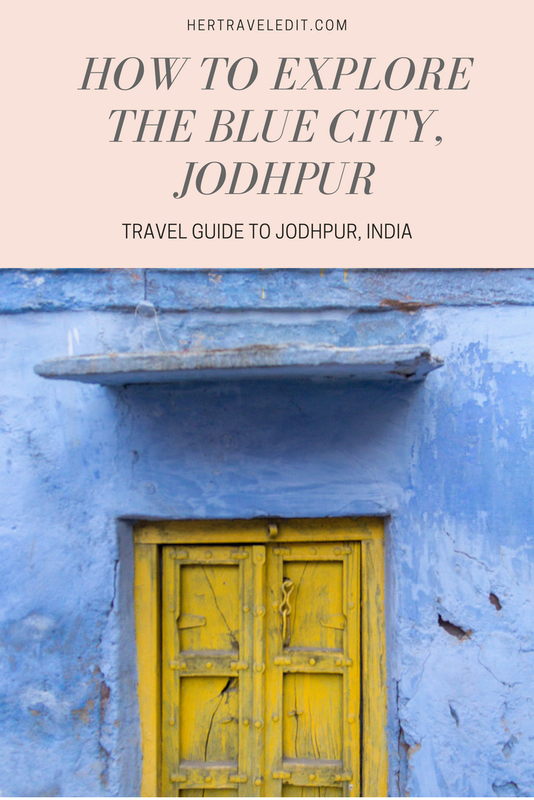 Want this to be your Jodhpur story? 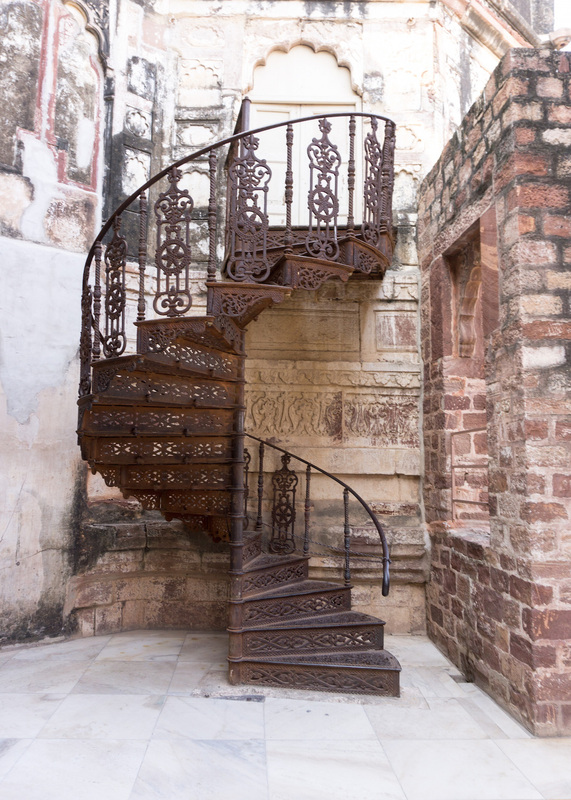 Then I highly recommend staying at Raas, Jodhpur. It is hands down one of my favorite hotels ever, mostly for the aforementioned reasons. It is also my favorite for their amazing service, and their softest, most delicate muslin robes! I wish I had bought one from them, but the $100 price tag daunted me. I’ve been regretting it every day since, so if you go, do me a favor and buy one for yourself? We booked a Luxury Room for us and a Heritage Suite for my parents at Raas using Chase Ultimate rewards (aren’t credit card points just the best?!). I highly recommend both, depending on your price point and the level of luxury you are going for! Here are some pictures to help you make your decision. (The pictures above are views from the balcony of the Luxury Rooms). 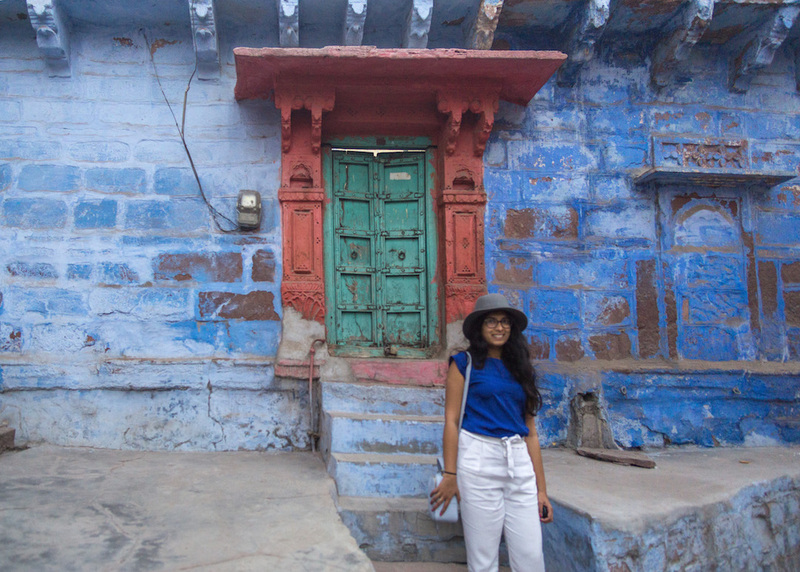 My favorite spot in Jodhpur was Toorji ka Jhalra. 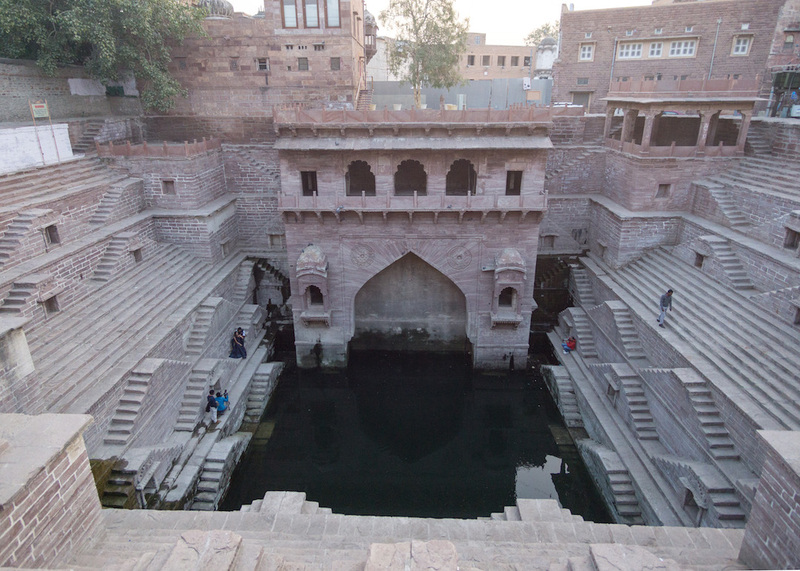 This is an old stepwell from 1740 that was submerged and lost for decades, only recently uncovered. The construction of the steps is so gorgeous! We went there both in the evening and early morning right after sunrise. I recommend the early morning for a more meditative experience (you might be interrupted by some romantic photoshoots though!). However, it was also nice to see the people of Jodhpur enjoy this spot in the evening, such a cool place to go unwind after a hectic work day! 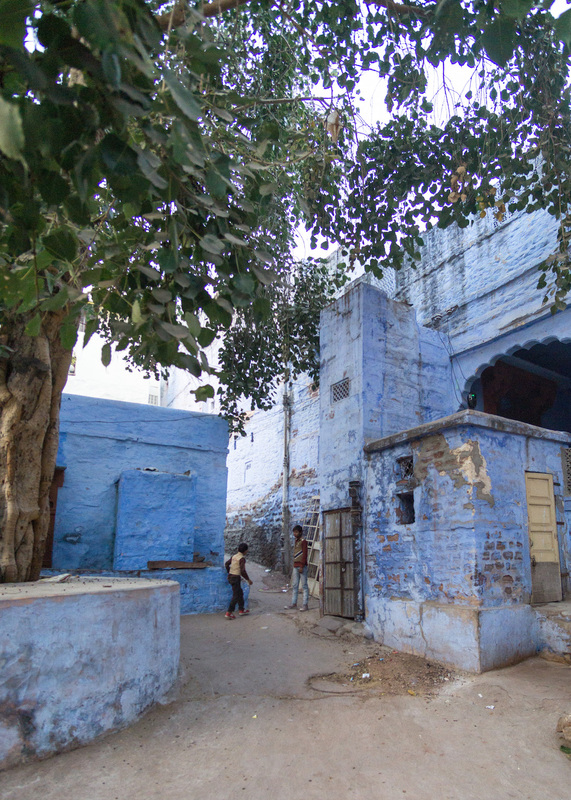 My second favorite part of Jodhpur was exploring the old town, walking down hidden alleys, trying to find the blue city (a lot of houses in old Jodhpur are painted blue – jury is out on whether it was to signify blue for the Brahmins who lived there, or simply because the blue is a byproduct of the cheap readily available limestone mixed with copper sulphate). It’s a feast for the eyes however, especially if you cannot get to Chefchaouen anytime soon! 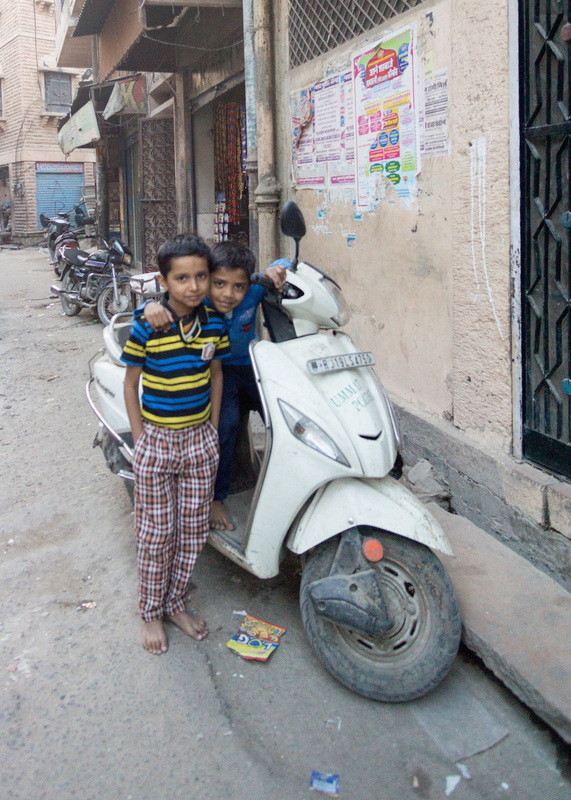 We first walked in the area behind Sardar Market, and spotted a few blue houses. On our way there, we were also lucky to run into a goat wearing (and admiring!) a sweater. We set out to find the picture perfect blue alleys, but found something more wholesome and heartwarming instead! 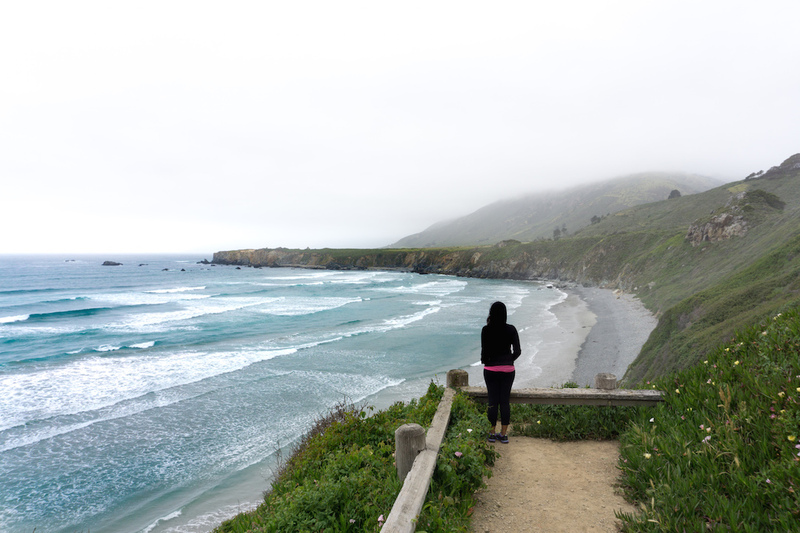 These are the unplanned travel moments that I truly treasure the most! 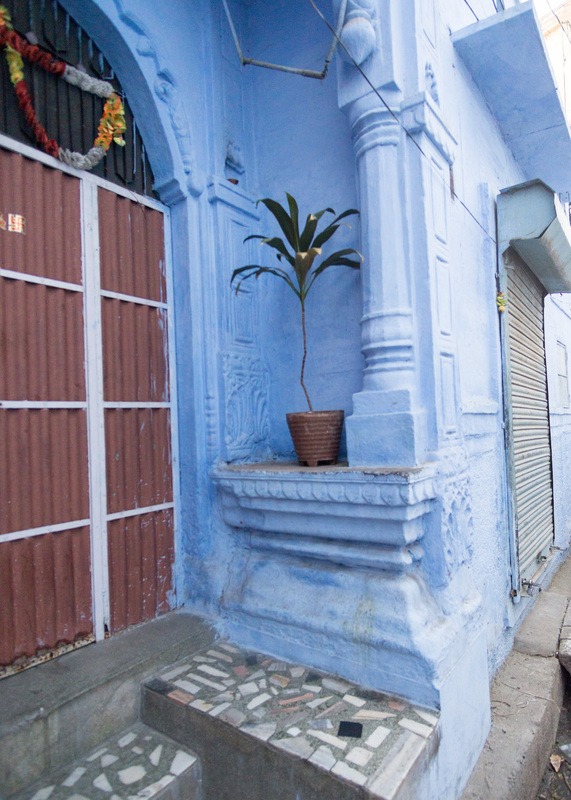 We wouldn’t be deterred in our quest however, so we took a Blue City Rickshaw Tour the next morning. I highly recommend it, you get your own private rickshaw, with a driver who knows exactly what he’s doing. 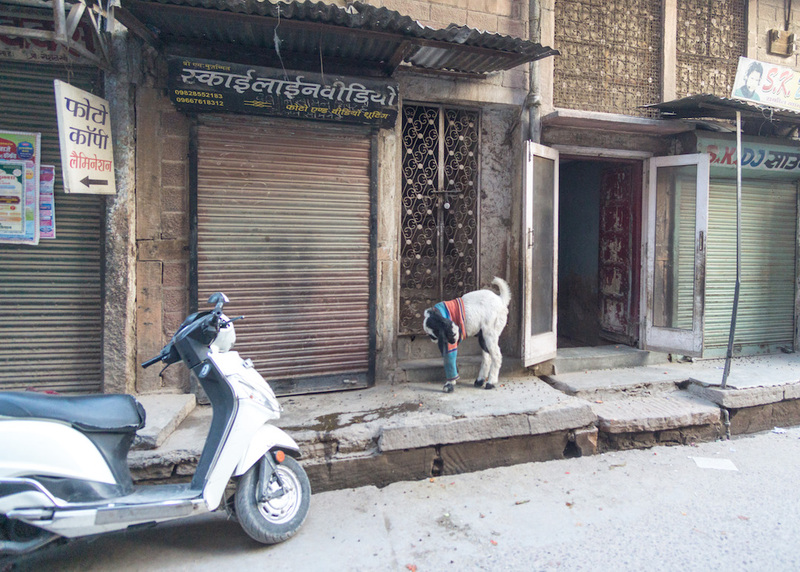 Which is, scaring off the stray dogs that fiercely guard their blue territories (No sticks were used, and no harm came to these stray dogs, don’t worry). 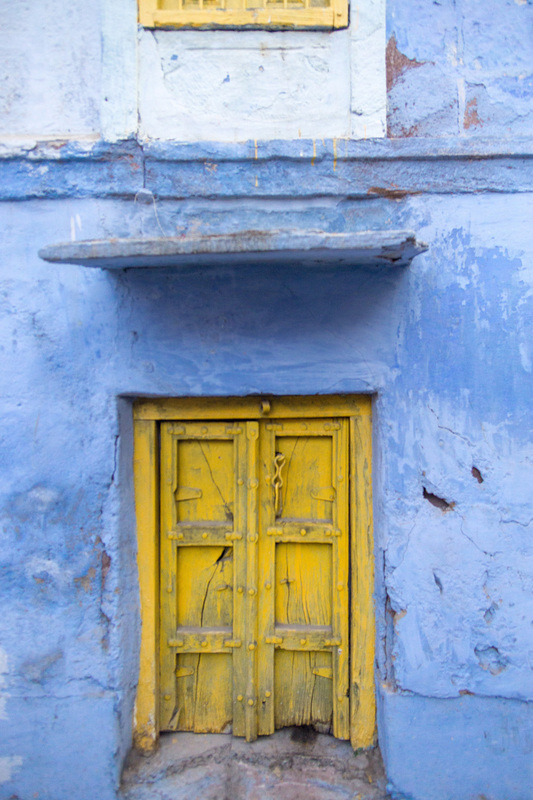 Even I was satiated after seeing some of the gorgeous doors that were just hanging out, nbd. 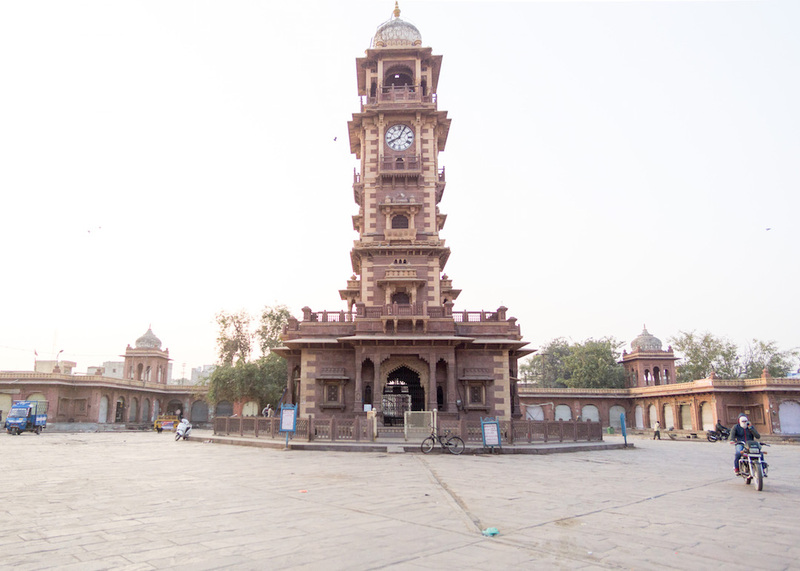 While in Jodhpur, you must see the clock tower, it’s kind of an all time favorite. Here’s a comparison between going there in the evening, and the early morning. 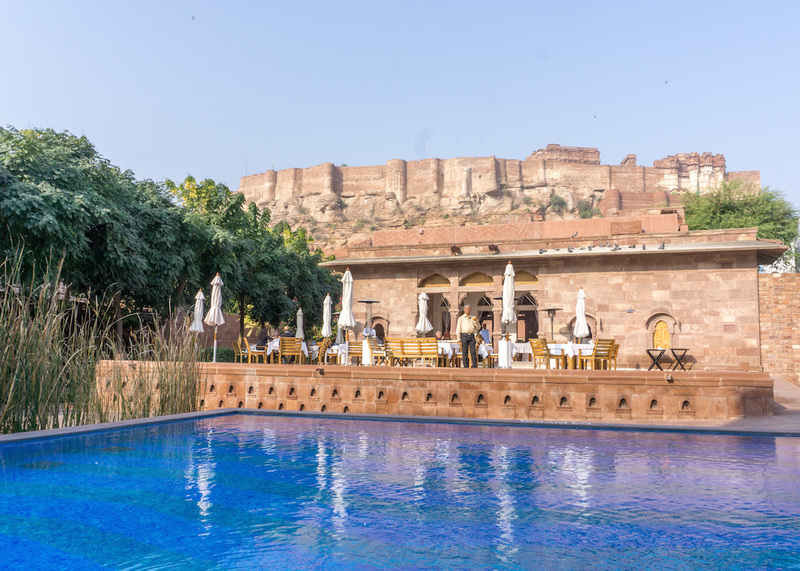 Ready for my third favorite spot in Jodhpur? Mehrangarh Fort, finally! 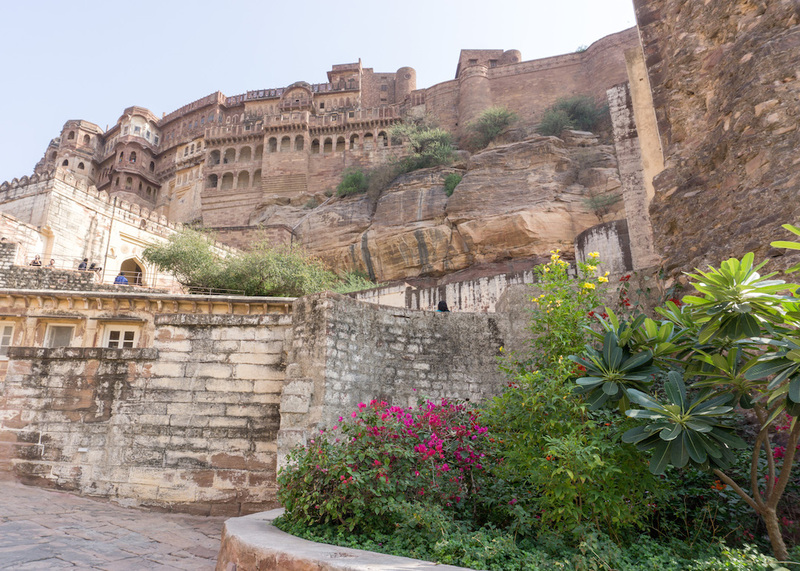 Obviously, this fort is hard to miss in Jodhpur, it looms over the city, standing guard since 1460. 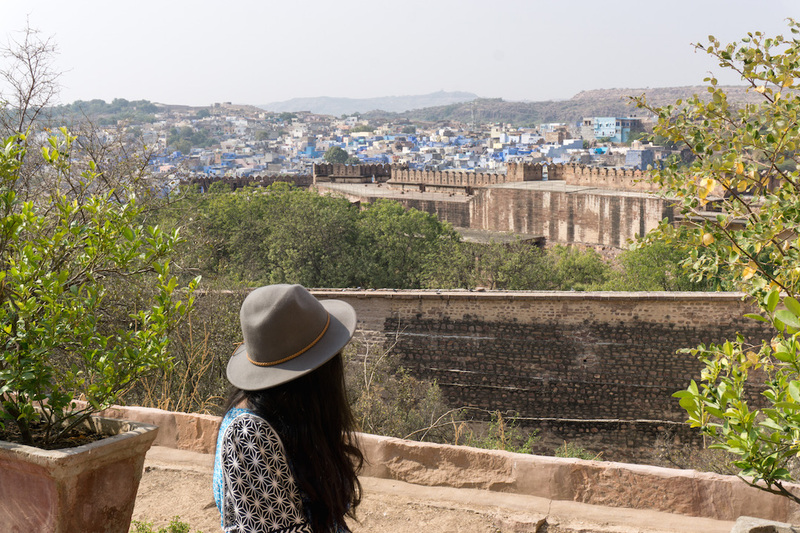 I highly recommend touring the inside of the fort – even if you are all Rajasthan-ed out, see this fort! 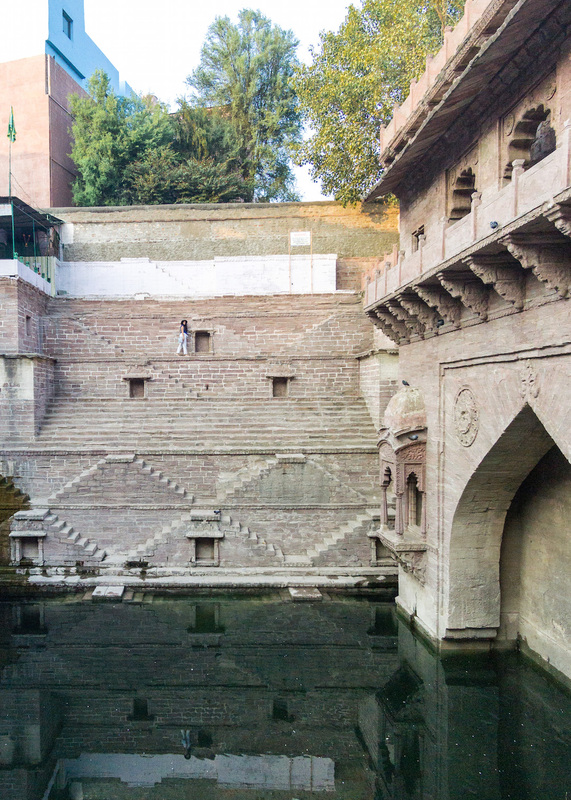 Get an audio guide or a personal tour guide, or else you will miss a lot of information about the Fort and the details that make it so impressive. 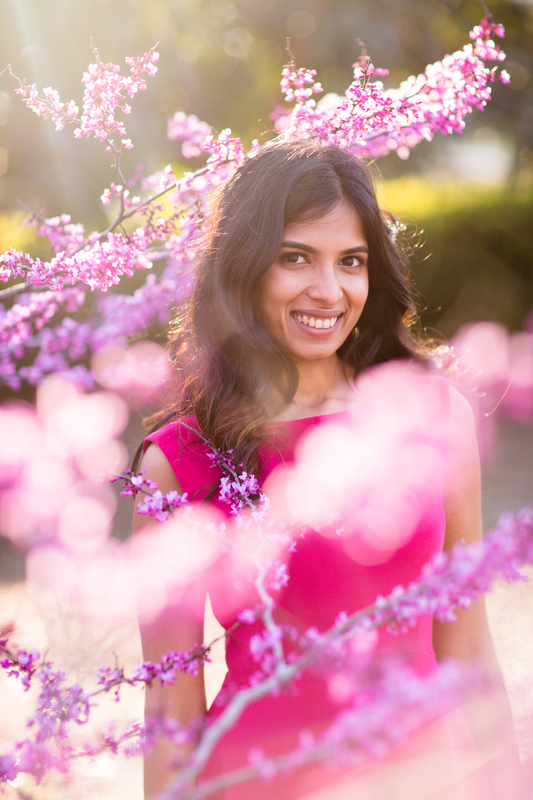 If you, like me, are going to spend a lot of time taking pictures, I suggest an audio guide! The human guides get paid per client, and so they want to finish off as quickly as possible. This is a removable staircase, that was removed as soon as the King went into the room, so that no one else could get in! 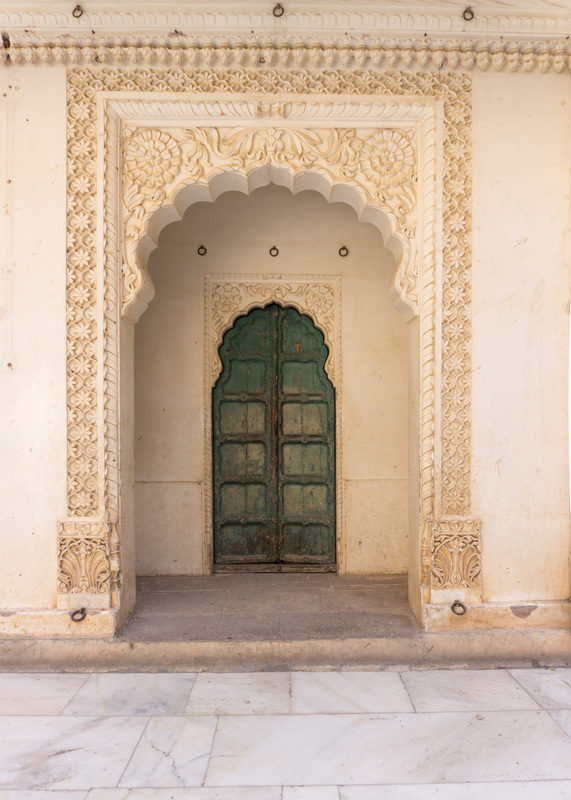 Of course, some gorgeous doors! 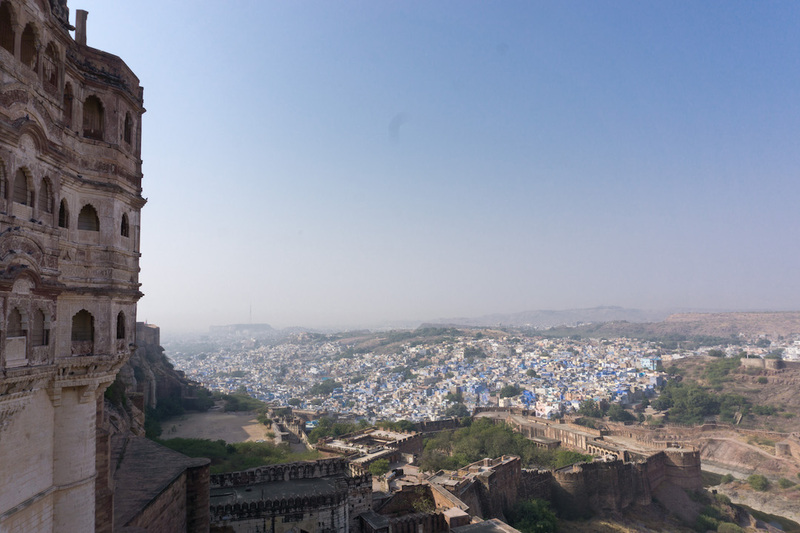 An added benefit of visiting Mehrangarh Fort is really cool views of the Blue City! 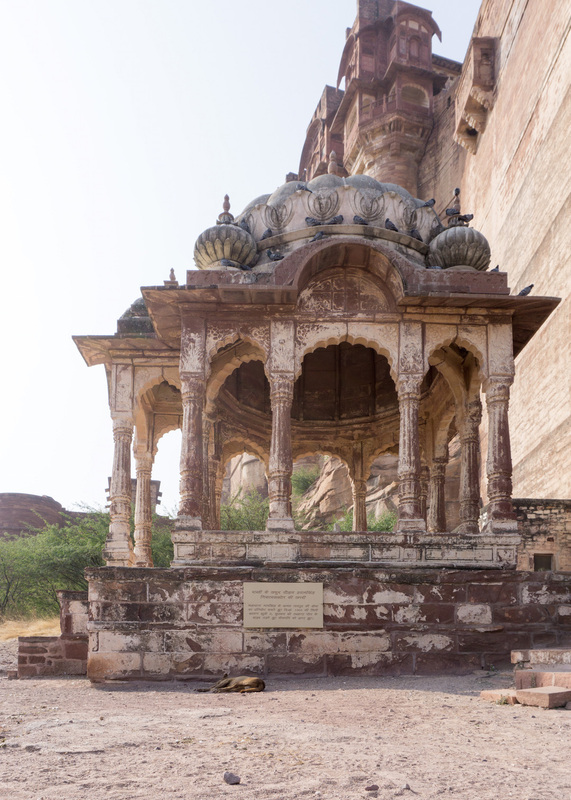 Right next to Mehrangarh is Jaswant Thada. 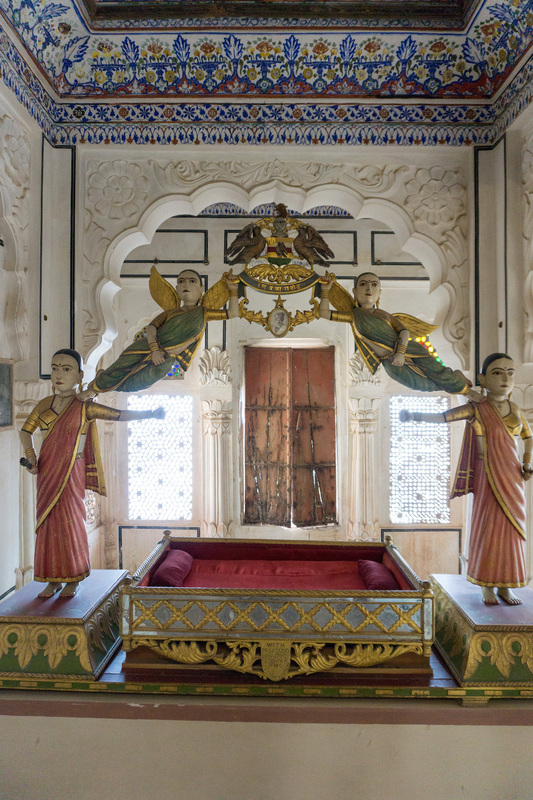 Jaswant Thada is a mausoleum built with marble (sound familiar?) and is just gorgeous. Definitely worth a peek in, even if you are tired and hungry after the fort. 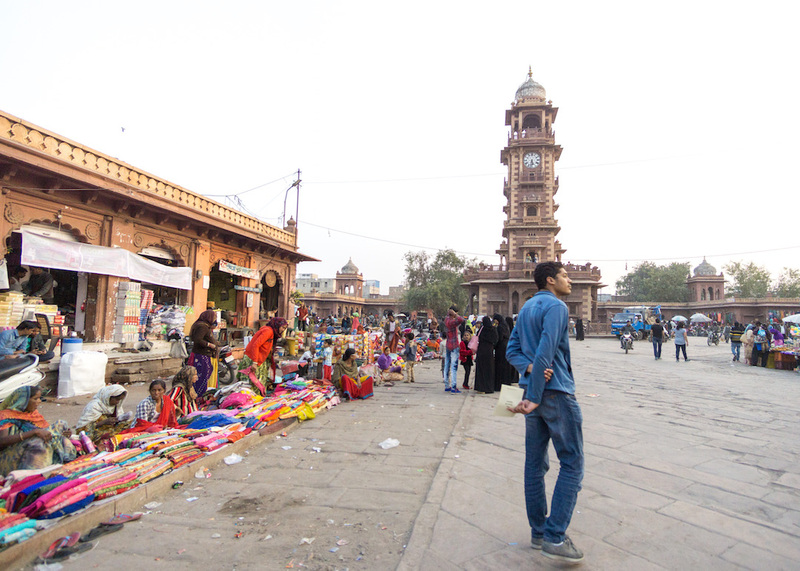 My only other recommendation for Jodhpur is to visit Tripoliya Bazaar, if you dare! It’s extremely crowded, but the shops are completely crazy! 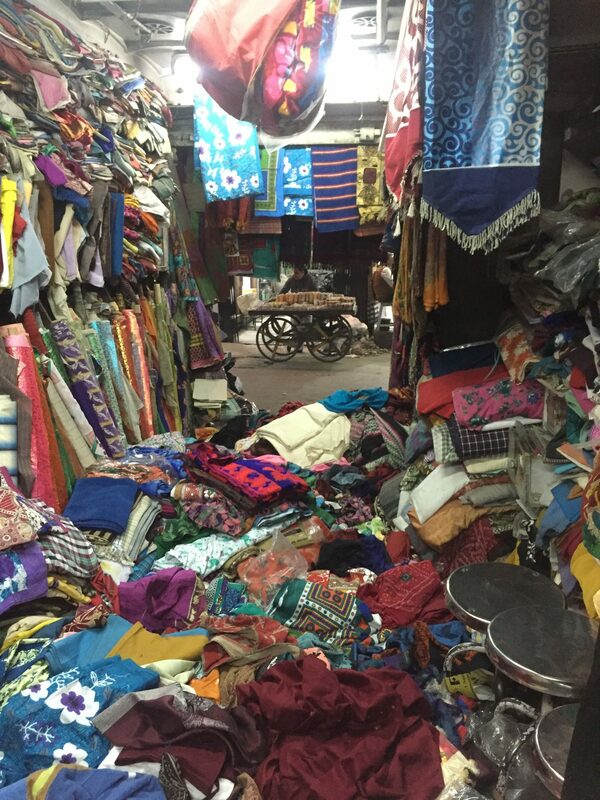 We were ushered into this one that was covered from floor to ceiling with clothes – we literally had to wade to cloth to get to what the shopkeeper wanted us to see! I don’t recommend shopping here, go for the experience! 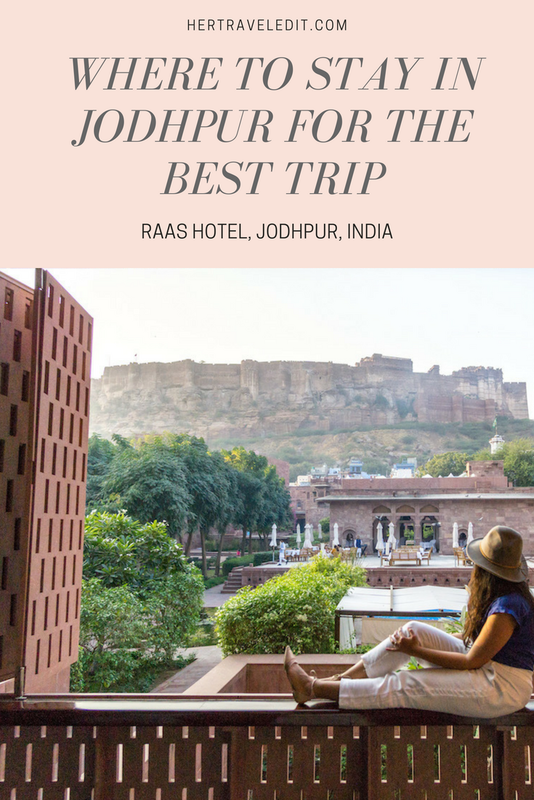 Jodhpur was my personal favorite from all the places we visited in Rajasthan, and staying at Raas definitely played a part in that!